Two sisters - Miranda, the older, responsible one, always her younger sister's protector; Lucia, the headstrong, unpredictable one, whose impulses are huge and, often, life changing. When their mother dies and Lucia starts hearing voices, it is Miranda who must find a way to reach her sister. 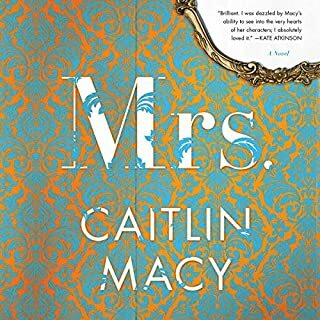 But Lucia impetuously plows ahead, marrying a bighearted, older man only to leave him, suddenly, to have a baby with a young Latino immigrant. The last person Alice Shipley expected to see since arriving in Tangier with her new husband was Lucy Mason. After the accident at Bennington, the two friends - once inseparable roommates - haven't spoken in over a year. Lucy - always fearless and independent - helps Alice emerge from her flat and explore the country. But soon a familiar feeling starts to overtake Alice - she feels controlled and stifled by Lucy at every turn. Then Alice's husband, John, goes missing, and Alice starts to question everything around her. Zadie Anson and Emma Colley have been best friends since their early 20s, when they first began navigating serious romantic relationships amid the intensity of medical school. Now they're happily married wives and mothers with successful careers - Zadie as a pediatric cardiologist and Emma as a trauma surgeon. Their lives in Charlotte, North Carolina are chaotic but fulfilling, until the return of a former colleague unearths a secret one of them has been harboring for years. Camden, NJ, 1948. When 11-year-old Sally Horner steals a notebook from the local Woolworth's, she has no way of knowing that 52 year-old Frank LaSalle, fresh out of prison, is watching her, preparing to make his move. Accosting her outside the store, Frank convinces Sally that he’s an FBI agent who can have her arrested in a minute - unless she does as he says. 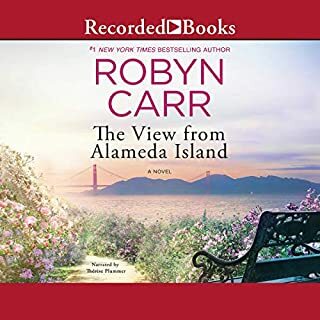 This chilling audiobook traces the next two harrowing years as Frank mentally and physically assaults Sally while the two of them travel westward from Camden to San Jose. Named one of the best books of the year by San Francisco Chronicle and Real Simple. A waitress at the Betsy Ross Diner, Elsie hopes her nickel-and-dime tips will add up to a new life. Then she meets Bashkim, who is at once both worldly and naïve, a married man who left Albania to chase his dreams - and wound up working as a line cook in Waterbury, Connecticut. Back when the brass mills were still open, this bustling factory town drew one wave of immigrants after another. Now it’s the place they can’t seem to leave. 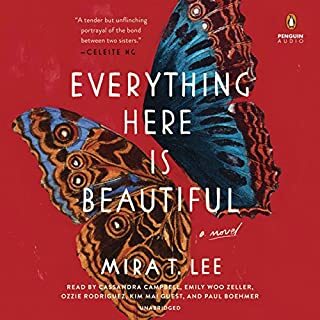 Elsie, herself the granddaughter of Lithuanian immigrants, falls in love quickly, but when she learns that she’s pregnant, Elsie can’t help wondering where Bashkim’s heart really lies, and what he’ll do about the wife he left behind. Seventeen years later, headstrong and independent Luljeta receives a rejection letter from NYU and her first-ever suspension from school on the same day. 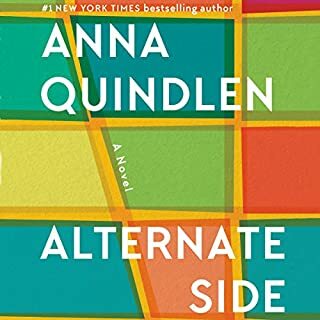 Instead of striking out on her own in Manhattan, she’s stuck in Connecticut with her mother, Elsie - a fate she refuses to accept. 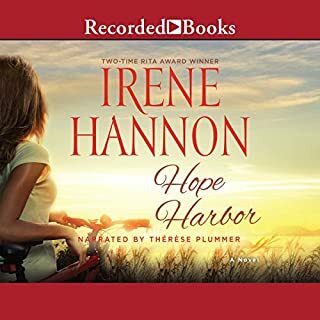 Wondering if the key to her future is unlocking the secrets of the past, Lulu decides to find out what exactly her mother has been hiding about the father she never knew. As she soon discovers, the truth is closer than she ever imagined. 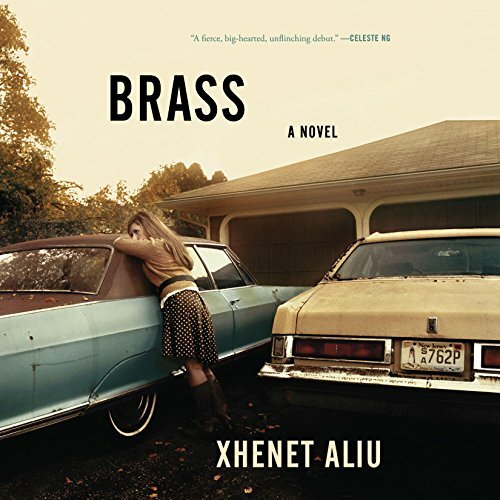 Told in equally gripping parallel narratives with biting wit and grace, Brass announces a fearless new voice with a timely, tender, and quintessentially American story. What did you love best about Brass? Written in parallel narratives of mother and daughter, and the daughter's story is written in second person. Sounds crazy, but it works. You won't have many opportunities to read first rate fiction in second person. 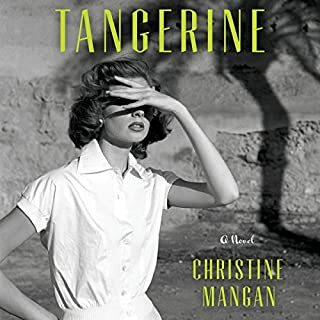 We follow characters through bleak circumstance deftly described, immersed in the plight of Albania in the 90's and the reality of crumbling American dreams wading through broken promises. The pain and resilience needed to endure is etched into your mind. What about Lauren Fortgang and Therese Plummer ’s performance did you like? I really enjoyed this book. I worked in Waterbury, so I knew some of the places. But it was such a compelling story. Some books that switch back and forth between narrators are confusing or tedious. I really liked this. Clearly and passionately narrated. Fascinating story that holds your attention. Great story while learning a bit more of American history.